BYD New Energy sales are up 169% year-on-year in August partly thanks to the new Tang (pictured). This is a new Chinese monthly update exclusive to BSCB, part of a China coverage we want as exhaustive as possible. New Energy vehicles include electric, hydrogen, PHEV and hybrid models. We are referring to retail sales here including imports here as these offer a much more complete picture of New Energy sales than the wholesales data we have access to. However it still doesn’t cover the entirety of the New Energy market in China where many actors don’t report sales officially. New Energy models included in this study see their sales soar 59% year-on-year in August to 78.893, leading to a year-to-date total of 508.840. 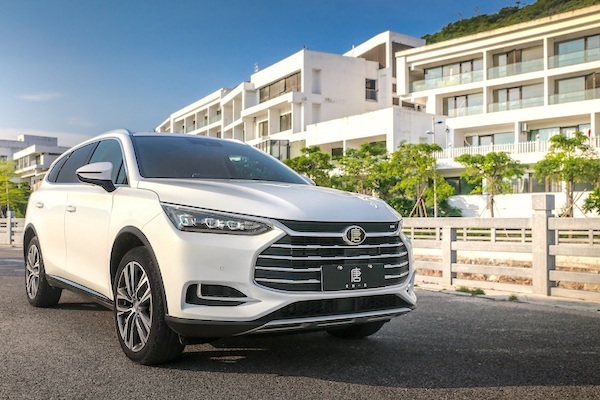 BYD confirms its New Energy renaissances, surging 169% year-on-year to snap the brands pole position for the 2nd time in the past 3 months with just under 20.000 deliveries. Toyota (+33%) is knocked down to #2 but remains in the YTD lead with 97.500 sales. Roewe (+118%) and Geely (+354%) both post brilliant results and camp on their July positions at #3 and #4 respectively, as does BAIC BJEV (-35%) but this time despite a hefty fall. GAC Trumpchi (+686%), BMW (+423%) and Changan (+225%) also see their New Energy presence greatly improved compared to a year ago. Model-wise, the Toyota Corolla Hybrid (+27%) is the best-seller once again, followed this time by the Geely Emgrand EC7 PHEV (+246%) and the BYD Yuan EV coming back to life. The BYD Qin (+182%) and Toyota Levin Hybrid (+2%) complete the Top 5 with the Roewe ei6 (+555%), BYD Tang EV (+258%) and BYD e5 (+127%) also posting spectacular gains in the remainder of the Top 10. Full August 2018 Top 50 brands and Top 105 models below.